Germs are a concern year-round, especially in shared environments like workplaces. Yet, during flu season, it’s particularly important to avoid picking up any germs. 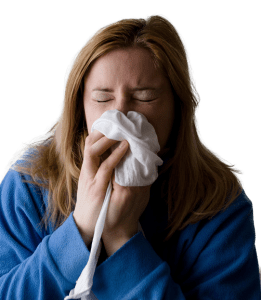 According to the CDC, flu viruses can range in severity from mild to severe, and for more than 4,600 people per year, they’re even fatal. Talk to Your Doc . . .
They’ll likely recommend the flu shot for you and your family members – it’s the single best way to prevent contracting the illness. Only a select portion of the population – including those who have had severe allergic reactions to the vaccine – should avoid flu shots. However, it’s always a good idea to get a professional’s opinion. Also, keep in mind that flu vaccinations wear off over time. The vaccine is updated each year to reflect current strains, so be sure to follow the vaccination schedule recommended by your physician. If you’ve received a flu vaccination, it doesn’t mean you’re completely immune to contracting the virus. In fact, the CDC reports the risk of contracting the flu is reduced by 40-60% in patients who receive the vaccine. The overwhelming majority of medical experts still consider it worth getting, but know that it protects against certain strains than others. This means you’ll still need to take precautions to avoid falling ill, so keep reading even if you’ve received or plan to receive a flu shot. 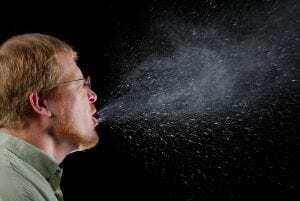 The best way to keep flu germs out of the workplace is to prevent infected employees from bringing them in. If you manage a team or oversee a business, encourage your personnel to stay home when they’re feeling under the weather. Most strains are highly contagious, and can even be contracted when you breathe in a flu aerosol particle from ten feet away! There are certain environments – such as your home and personal work space – which you can control and keep clean. In public environments, however, you’re bound to come into contact with flu viruses at one point or another. To limit your exposure, wash your hands often, and always before eating or touching your face. When you’ve come into contact with frequently-used public objects, like cafeteria trays, ATMs, and door handles, wash your hands or use hand sanitizer. Most doctor’s offices now provide face masks in the patient waiting area, which should be donned by potentially infected visitors. 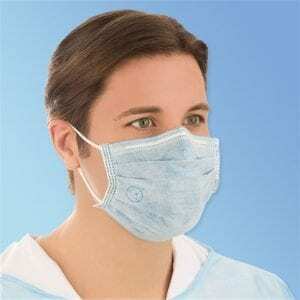 If you own or manage a healthcare facility, keep an ample supply of anti-viral face masks on hand for the flu season. Nurses and doctors may also wish to put on face masks before treating potentially infected patients to reduce their risks of contracting the illness. Also, keep in mind the virus can be spread up to seven days before a person exhibits symptoms. Thus, it’s a good idea to avoid sharing straws, makeup products, and similar objects with others. According to a Clorox survey, 41% of workers say they rarely – if ever – disinfect their desks. Your cubicle and similar personal spaces can harbor countless germs, so taking extra precautions to keep them clean during flu season is essential to your wellness. From your cubicle to your household, wipe down surface areas often to keep germs at bay. Keep office environments well-stocked with cleaning supplies which can be used safely on electronics like touch-screen computers and keyboards. Use CleanTex Phone Wipes for desk equipment and phones and use CleanTex Clean and Safe wipes or Purell Sanitizing Hand Wipes for your hands. If you do get the flu or feel like it could be coming on, be sure to cover your mouth when sneezing or coughing. Afterwards, clean your hands to prevent passing your germs onto any surface areas. 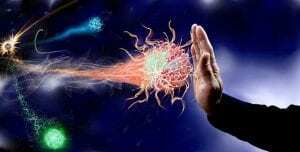 The flu virus isn’t just spread by airborne respiratory droplets; it can also be passed by skin-to-skin contact and by touching a contaminated surface. Leave a germ-free surface by cleaning with disinfectant wipes. Eating a nutrient-rich diet is a great way to boost your body’s immunity, but many individuals still fall short in certain vitamins and minerals. Talk to your doctor about taking a multivitamin to stay as healthy as possible, and be sure to get plenty of sleep. If you do contract the flu, stay hydrated and seek medical attention if any symptoms become extreme. 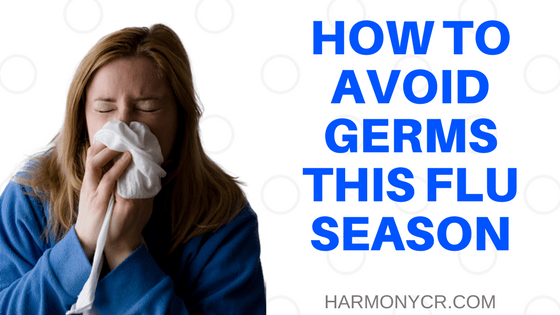 Keep your office environment clean this flu season by stocking up on disinfecting wipes, sanitizers, anti-viral face masks and more through Harmony Business Supplies. We have everything you need to stop germs in their tracks. Visit our online storefront for a full list of products, or get in touch with a product specialist for assistance. Next PostNext MALDI-TOF MS Analysis: Inoculation Loops vs Wooden Transfer Sticks?